Apple has unveiled official schematics and guidelines for accessory makers to develop custom straps for the Watch, which was released on April 24th. The guidelines are the second in a new series of tools meant to make the Watch more approachable to creators outside of the immediate Apple universe. The other, a beefed-up set of rules for WatchKit developers, will help apps become more glanceable and less distracting to users. 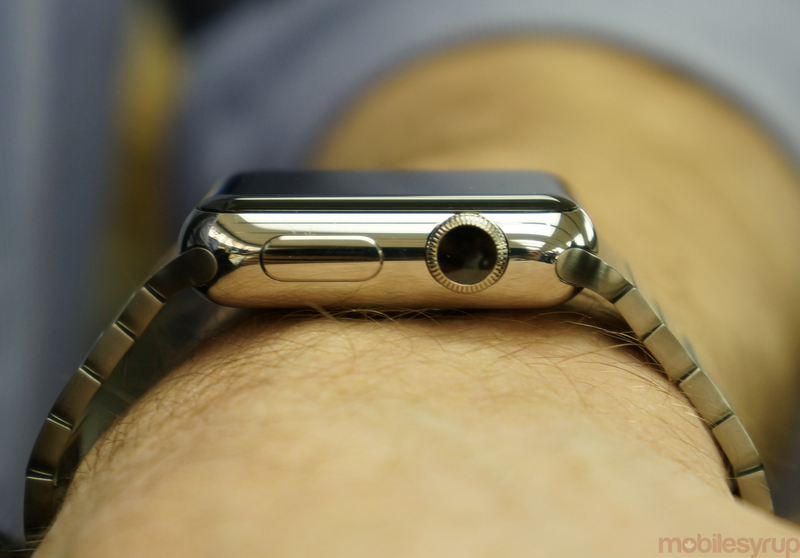 Similarly, the new band guideline takes several key ingredients of the Apple Watch, namely the strap and lugs, which connect the strap to the watch chassis, and codifies some of the dos and donts. Third-party manufacturers are already experimenting with augmenting the Watch with their own solutions, often less expensive than Apple’s equivalents, which start at $69 CAD for the Sport strap and increase all the way to $599 CAD for the Link Bracelet. Apple also takes care to point out that certain band materials are forbidden, such as nickels with high leach rates that can cause skin irritation. Fitbit recently dealt with an issue where its metallic heart rate sensor caused severe allergic reactions in some wearers. Earlier this week, a 9to5Mac report found that some strap creators planned to take advantage of a hidden charging and diagnostic port located on the bottom of the Apple Watch, just underneath where the middle lug connects the strap to the case. While the port is not user-accessible — it requires a SIM pin tool to remove — it reportedly offers faster and more reliable charging, likely for straps with built-in batteries, than using the underside MagSafe charger.